Search engine optimization and search engine marketing are two concepts that are often connected in the minds of many small business owners. While some of the strategies of SEO and SEM are interchangeable, each of these marketing arenas requires its own unique approach. 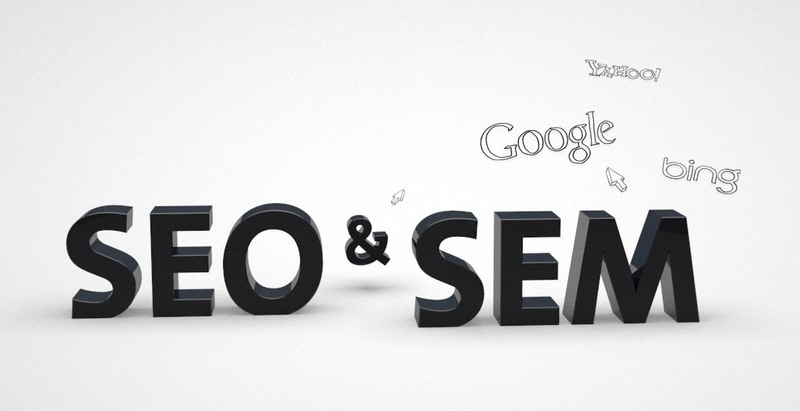 The world of SEO and SEM has seen a massive amount of change even within the past few years. The SEO techniques and shortcuts that might have worked in 2007 are no longer effective. As a marketer and consultant, I work with a lot of small business owners who, unfortunately, don’t seem to understand that the SEO rules have changed. 1. You can't just stuff keywords and build links anymore. Back in the old days of SEO, you could get traffic to your website just by filling it with certain targeted keywords that were relevant to your business, industry or products. You could boost your search engine ranking by using elaborate link building strategies to get other sites to link back to your site, thus driving it higher in the search rankings. Lots of companies got so skilled at gaming the system and exploiting loopholes in Google’s algorithms, that their websites became some of the top-ranking sites for many popular search terms, even though the sites were not very popular with readers. It became kind of a joke among lots of people that Google’s search results — which used to be respected as highly trustworthy for finding relevant sites — were getting cluttered with search engine spam. Those days are over. Google has changed the rules of its search algorithm repeatedly — most dramatically with the Panda and Penguin updates of 2011 and 2012 – to filter out low quality sites, and reward better sites that actually add value to the reader, instead of just placing certain keywords on the page. For example, the Panda update of March 2011 affected 12% of all of Google’s search results, and some sites saw a decrease in traffic of 60 percent as a result of the change in algorithm. Unfortunately, lots of small business owners are still trying to game the system based on outdated rules. Google knows better. 2. Don't overlook Google ads. Lots of small business owners and entrepreneurs are enamored with the idea of SEO because it seems like “free” advertising – you just set up a website and watch the customers come to you! But the truth is, SEO has many hidden costs such as the cost of your time, the cost of hiring SEO consultants, the cost of creating content and maintaining your site, etc. So don’t be afraid to spend some money on search engine advertising, such as Google Ads, as part of your overall search engine marketing (SEM) strategy. For a minimal investment, you can test some different ads and see which ones work best — you might get better results than merely trying to get your site listed higher in the search results. Google Ads keep getting cheaper and more popular — according to recent statistics released with Google’s quarterly earnings report, Google’s paid search clicks were up 26% and the cost-per-click of Google search ads fell 9%. 3. "Social search" is becoming more important. Google and other search engines are trying to make their search results be more relevant to what people's friends are saying and recommending via social media. Social search is still emerging as a major force in SEM, but the future is likely to see an ever more “social” search engine function. So, adjust your SEO strategy accordingly. According to this research from Prestige Marketing, 78% of consumers trust personal recommendations over search result rankings, and 48% of online purchasers use both search and social media to make decisions. Search engine marketing doesn’t happen in a vacuum; everything your company is saying, and everything that people are saying about your company on social media. This is increasingly relevant to your chances of success at getting traffic to your website and eventually making sales. Perhaps the biggest lesson of the past few years’ of evolution in SEO and SEM is that search engine marketing is not just a matter of tactics and techniques, but a reflection of the overall trust, credibility and depth of relationships that your company creates with customers and influential people online. It’s hard to isolate any one area of SEO or SEM that your company needs to focus on, because it’s all part of an interconnected web of relationships and metrics. Every time you create valuable content, every time you build trust with a customer in an online conversation, every time your company gets recommended or ranked favorably on social media or an online rankings platform, you are building a stronger web of support for your company’s reputation. And making it easier for new customers to find you, trust you and buy from you. Gregg Schwartz is the Vice President of Sales and Marketing at Strategic Sales & Marketing, one of the industry-founding lead generation companies. He works with clients on lead generation, social media marketing and B2B sales consulting.